Beautiful gold leaf, pink buds open to white flowers in spring. 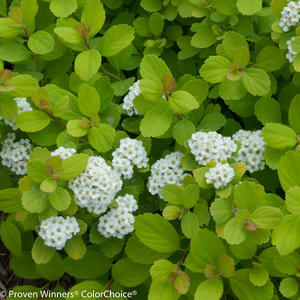 Bright yellow foliage does not burn in the summer sun and has a great fall color of yellow, orange and red. A nice compact plant.